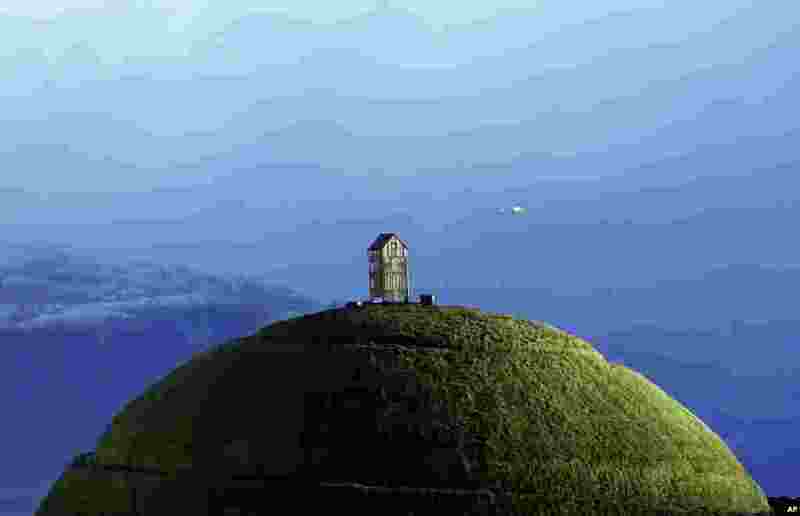 1 The Thufa hill in Reykjavik. Parliamentary elections will be held in Iceland on Oct. 29, 2016, more than 250,000 voters are called to elect the new parliament, 63 members of the Althing parliament. 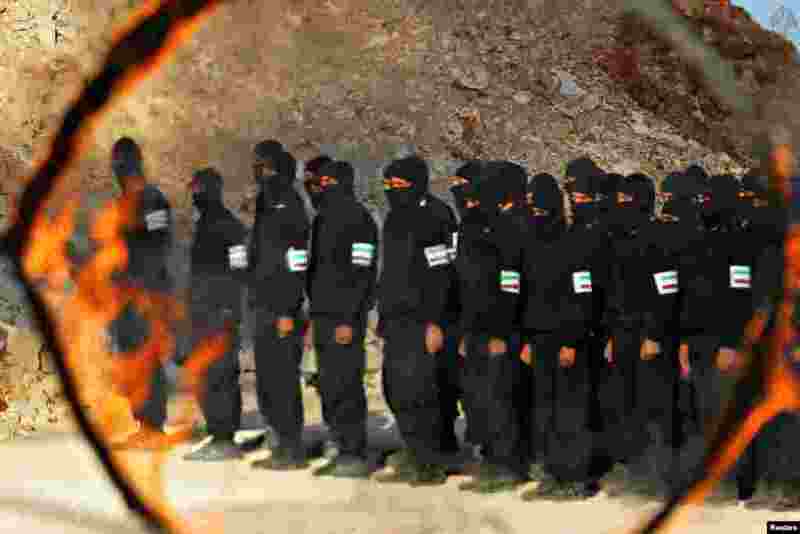 2 Rebel fighters attend military training in Idlib province, Syria. 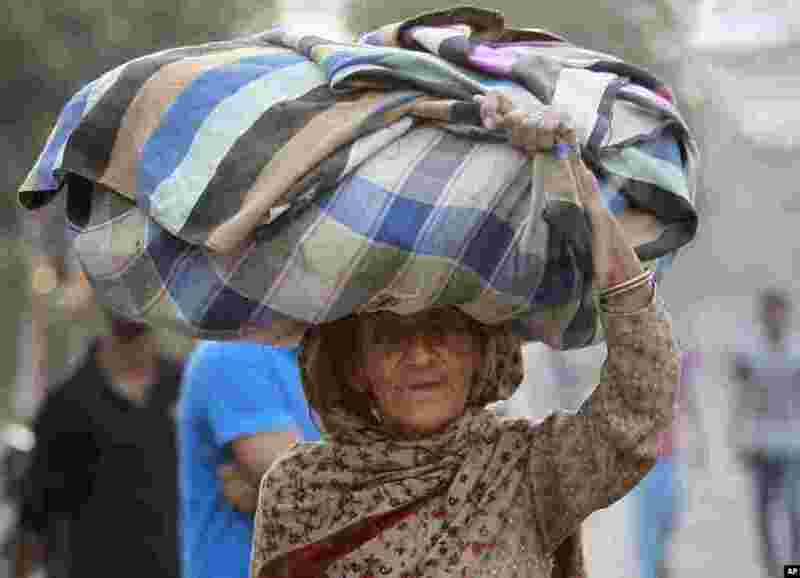 3 An old Indian villager from the Indian side of the border between India and Pakistan, carries her belongings to a relief camp set up at a government run school in Akhnoor, about 55 kilometers north of Jammu, India. 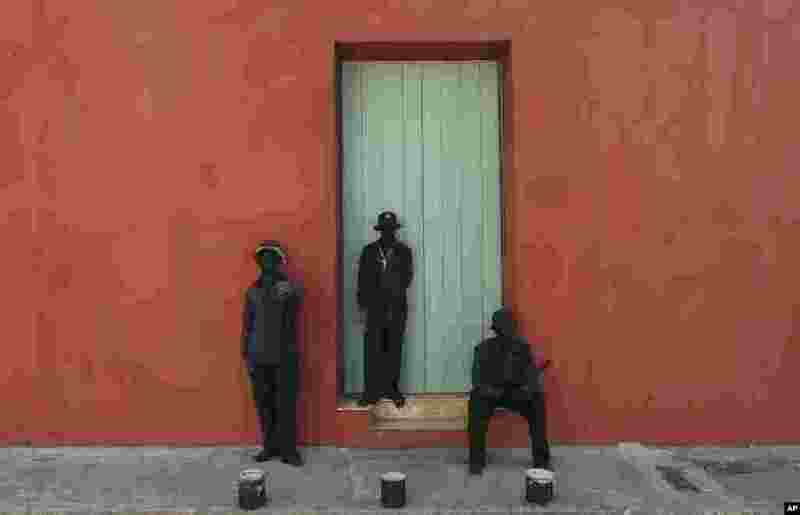 4 Street performers act as statues outside a home in the historical center of Cartagena, Colombia. Cartagena is hosting the 25th Ibero-American Summit, an annual meeting of heads of state from Latin America and the Iberian Peninsula.